Do you suffer from dryness around the eyes? In order to look fresh and young, you want the space around the eyes to be supple and free of flakes. Hydrated, normal skin has plump cells, yet as you suffer with skin dryness around eyes, these cells shrivel and create wrinkles and fine lines. The dry skin may itch and flake, become irritated and red, and it might feel raw and rough, and cause the skin around the eyes to become sore and swell. In some cases, the skin might show scales. It might be a clinical condition that is causing the flaky, dry, skin around the eyes or you may be a victim of your skincare regimen. Flaky, dry skin around the eyes may be very bothersome. If your skin hasn’t cleared up from simple treatments, get in touch with your physician, as you might have an underlying condition which requires additional or different treatment. Your eyes are critical, and the surrounding area of skin is fragile. According to the National Psoriasis Foundation, facial psoriasis may happen around the eyes, most oftentimes in the eyebrows. It’ll cause the skin to flake and dry, and scales might cover your eyelashes. Eczema, also known as seborrheic dermatitis, also happens around the eyes and on the face. Eczema causes an itchy, scaly, and red rash, usually because of oily skin. As it makes the skin flake, it additionally causes it to dry out. Eczema may happen anywhere on your body and causes serious dry patches which may become very itchy, inflamed and red. Blepharitis is an inflammatory ailment which affects the eyelids and leads to dryness around eyes due to malfunctioning oil glands. The condition causes flaky, itchy, red eyelids. 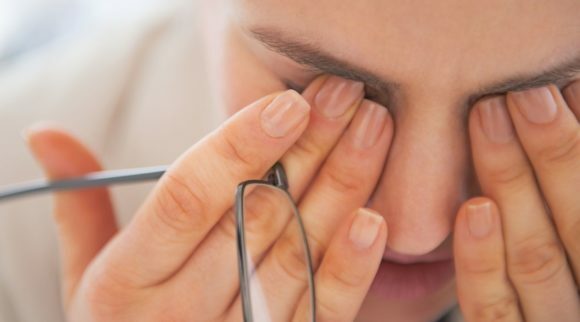 These are all issues that could cause your eyelids to appear dry and flaky. Contact dermatitis: it’s a common condition that results from an allergic reaction to specific irritants that touch the skin. It may happen from skin foundation or eye makeup, and can even happen due to preservatives in some eye drops. Your eye shadow, mascara, eyeliner, or tools utilized for applying them might’ve accumulated bacteria over a period of time. It’ll irritate the skin, dry it out and maybe cause it to flake. Eye makeup remover, facial lotions or cleansers, or the towel used to dry the face may irritate the skin and dry out the skin that surrounds your eyes. Facial psoriasis may be treated using topical antibiotics, yet in some instances, a steroid medication specifically made for the sensitive eye region might be necessary. According to the National Eczema Foundation, eczema is treated using OTC moisturizers and lotions; however, more severe cases might have to be treated with oral or topical steroids. Lotions, gels, and creams that contain antihistamine, antifungal, antibiotic, antibacterial, anti-inflammatory, and anesthetic medicines also are used in the treatment of eczema. Blepharitis may be treated using steroid ointments, antibiotics, and cleansers for the eyelids and face. 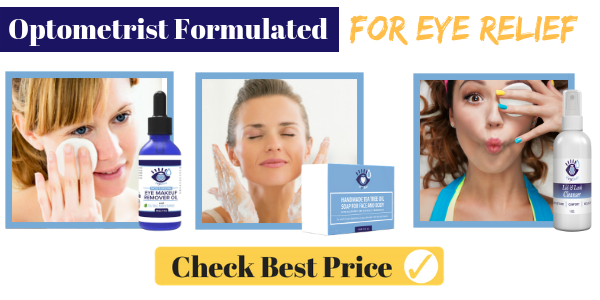 Lotions and creams that are specific to the eye region also are on the market (and discussed below) to assist in keeping the delicate skin moisturized. While everyone understands how critical it is to regularly wash one’s face, most do not know that caring for one’s eyes also should be part of a day-to-day regimen. One of the most typical drivers of irritation, inflammation and ocular diseases such as blepharitis, dry eye and meibomitis is poor eyelid hygiene. Each day our faces – and eyes – are exposed to dirt, dust, and allergens in the environment. As we wash our face, we usually naturally avoid the space around the eyes, as we understand that we shouldn’t rub and tug that fragile skin. 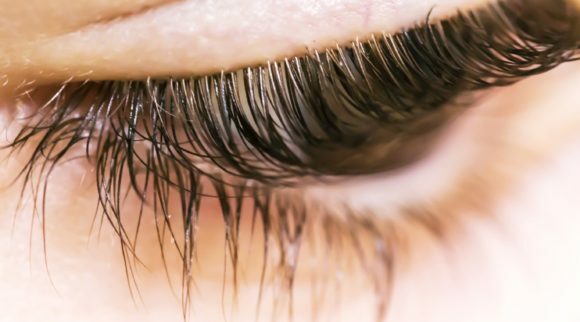 Unfortunately, we wind up ignoring it altogether – therefore, eyelid wipes or sprays are important for day-to-day use for dryness and inflammation around the eyes. These eyelid cleansers are especially made to effectively and gently cleanse the delicate space around your eye and dissolve all secretions which may irritate and dry your eye. Bacteria: it’s a common reason for ocular disorders and eye irritation. Using eyelid wipes or sprays is the best habit to decrease dangerous bacteria and avoid eye pain or maladies. If you go to bed without taking off your eye makeup, eyeliner and/or mascara, it all may slip into the eye and cause itchiness, redness, and perhaps infections. Also, your eyelashes are going to break more often because of the consistent weight of mascara on them. Going to sleep without removing your eye makeup on a routine basis increases the odds of clogging your oil glands and hair follicles in the lids, which might lead to the formation of small bumps, referred to as styes or hordeola. Every piece of dust or makeup that isn’t taken off using eyelid cleansers has the possibility of getting onto the contact lens the following morning and causing possible eye irritation, as well as lens damage. Those allergic to mites, dust, mold, pet dander, and pollen oftentimes experience itchy, red eyes when they’re exposed. 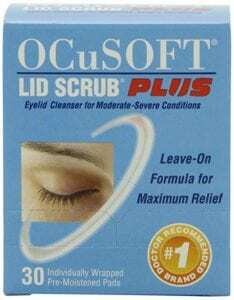 Regularly using lid cleansers removes allergens from the fragile eye region and might aid in reducing symptoms. Lengthy hours spent looking at a computer screen might result in multiple conditions, which include double or blurred vision and red, dry eyes and/or eye irritation. Stressed and tired eyes benefit from eyelid cleansers which aid in reviving lashes and eyelids and support their eye lubricating roles. Each time you blink, you’ll spread tear film over your eyes’ surface, nourishing and moisturizing them, and guarding them from foreign particles, dust, and germs. Practicing excellent ocular hygiene by using eyelid wipes continuously supports the lashes and eyelids to protect against dryness. As aforementioned, blepharitis is an inflammation of the eyelids. Usually, blepharitis involves the portion of the lid in which the lashes grow and affects both lids. Blepharitis typically happens when small oil glands situated close to the base of the lashes become clogged. It’ll lead to red and irritated eyes and dryness around the eyes. Several conditions and diseases may cause blepharitis. Blepharitis often is a chronic ailment that’s hard to treat. Blepharitis may be uncomfortable and might be ugly. However, it typically does not lead to permanent eyesight damage, and it isn’t contagious. It just needs to be treated properly! Conjunctivitis is an infection or inflammation of the conjunctiva (transparent membrane) lining the eyelid and covering the eyeball’s white part. When tiny blood vessels inside the membrane become inflamed, they are more visible. It’s what causes the whites of the eyes to look pink or reddish. Conjunctivitis is usually caused by a viral or bacterial infection, allergic reaction, or — in infants— incompletely opened tear ducts. 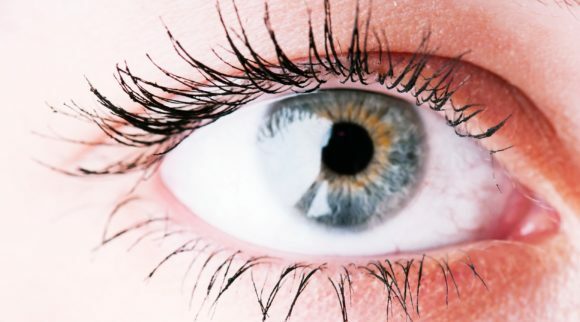 Although this condition may be irritating, it seldom affects your vision. Treatments may aid in easing the pain of conjunctivitis. 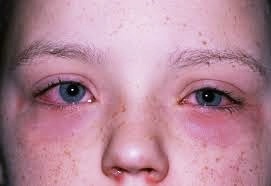 Because conjunctivitis may be contagious (especially the viral form, known as pink eye), early treatment and diagnosis for dryness around the eyes may assist in limiting its spread. Most instances of conjunctivitis are caused by a virus, allergy, or bacteria. Bacterial and viral conjunctivitis alike may occur in conjunction with colds or respiratory infection symptoms, like a sore throat. Using contact lenses which are not properly cleaned or are not your own may lead to bacterial conjunctivitis. Both kinds are contagious. They’re spread through indirect or direct contact with the liquid which drains from the eye of somebody who is infected. Both eyes or one eye might be affected. THe allergic form affects both of your eyes and is a response to an allergy-causing substance like pollen. In response to allergens, the body generates an antibody referred to as IgE (immunoglobulin E). The antibody triggers specialized cells, referred to as mast cells, inside the mucous lining of the eyes and airways to release inflammatory substances, which includes histamines. The body’s release of histamine may generate numerous allergy symptoms and signs, which includes pink or red eyes. 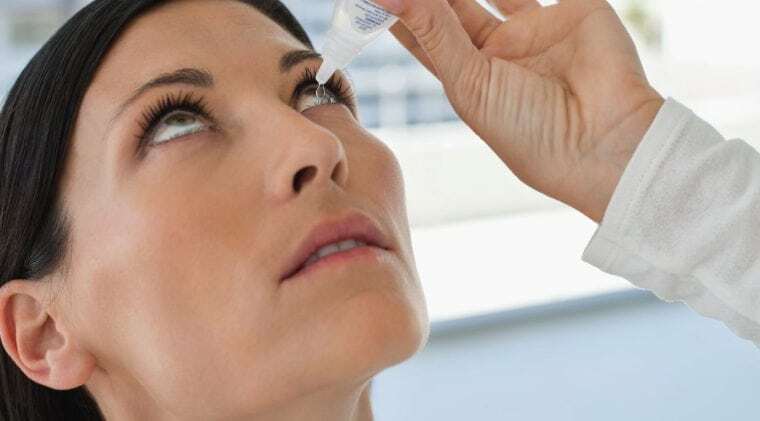 If you have allergic conjunctivitis, you might suffer intense itching, inflammation and tearing of the eyes — as well as watery nasal discharge and sneezing. The majority of allergic conjunctivitis may be controlled using allergy eyedrops. Irritation from a foreign object in the eye or chemical splash also is related to conjunctivitis. Sometimes cleaning and flushing the eye to rid it of the object or chemical causes irritation and redness. Symptoms and signs, which might include watery eyes and mucous discharge, typically clear up by themselves within around one day. If initial flushing does not resolve the symptoms, or if a chemical is a caustic one like lye, you must be seen by your eye specialist as soon as you can. A chemical splash on the eye may cause permanent damage to the eye. 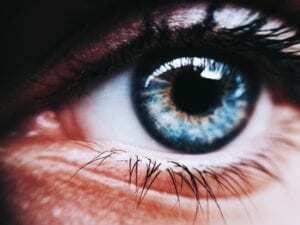 Persistent symptoms also could be a sign that the foreign body is still in your eye — or you could potentially have a scratch over the cornea or covering of your eyeball. Dr. Tanya Gill is the creator of this product and serves as an optometrist. She is very passionate about cleaning dirty eyes. 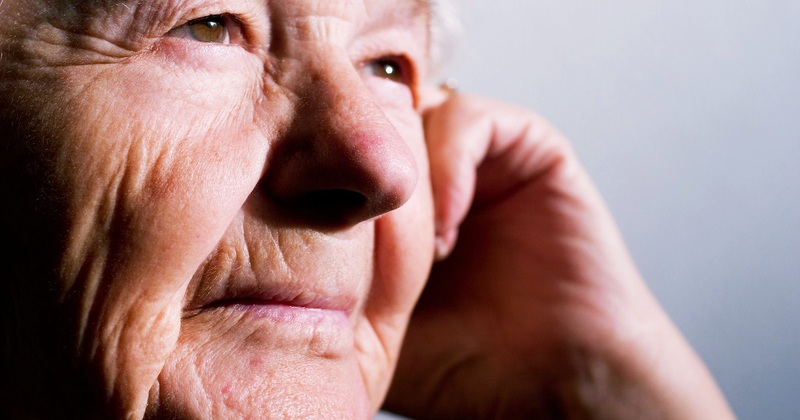 For a while now, Gill noticed that most of her patients suffered chronically dry, red eyes. After conducting some studies, it dawned on her that the chemicals in eye makeup removers and eye makeup were perhaps contributing to this problem. The doctor looked for a natural solution, yet could not find one that was truly healthy, safe, and effective. Gill wanted it all; therefore, she created a dream list: cruelty free, vegan, gluten free, formaldehyde/ paraben free, phthalate free, as well as free of dyes and fragrances. And more than anything, she wanted a product which was free of retinoids, since products containing retinol may cause damage to your meibomian glands. Made with a higher tea tree oil concentration, this potent cleanser delicately removes greasy debris, bacteria, as well as demodex, without the toxins. 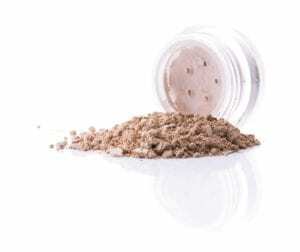 It’s recommended for those who have blepharitis or dry eyes all while still removing make-up. Tea Tree Oil. Naturally destroys bacteria and controls demodex mites upon the eyelashes and eyelids. Organic Jojoba Oil. Keep the pores clean by balancing oils of the gentle skin that surrounds your eyes. Grapeseed Oil. This works as an anti-inflammatory that reduces the look of wrinkles and fine lines that surround the eye’s thin skin. 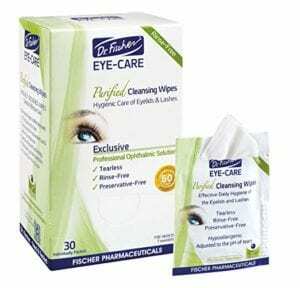 Dr. Fischer’s Premium Eye Care Wipes bring you the most effective and gentlest eyelid wipes which are free of alcohol, preservatives, and additional irritants. Cleaning your lashes and eyelids to eliminate dirt, oil, crusted matter, dust, ocular secretions and additional foreign bodies never has been easier. Blepharitis and conjunctivitis relief means that easing irritation of eyes caused by those conditions finally is possible! Premium Eyelid Wipes by Dr. Fischer prevent bacterial overgrowth and worsening of conditions, permitting the eyes to naturally heal. Makeup cleansing without irritating the most delicate of eyes is simply a matter of utilizing Dr. Fischer’s Eyelid Wipes on a daily basis. Wipes easily take off make-up around the eyes, without irritation or pain. Safe and effective for every age group: Dr. Fischer’s wipes have been advised by dermatologists and ophthalmologists for all age groups. With these wipes, it’s possible to clean the eyes of debris, oil, dust, dirt, thickened eye mucus, crusted matter, foreign bodies, and ocular secretions without worsening/ hurting conditions such as conjunctivitis, blepharitis, dry eye, red eye, styes, and eye inflammations. 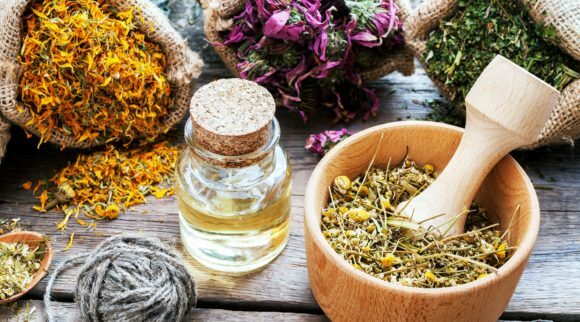 It’s possible to use them as a complementary assistance to medical treatment along with other choices like stye ointments and conjunctivitis drops to give the eyes the best opportunity of fighting viral/ bacterial infections. These eyelid wipes aid in reducing eye fatigue and strain from the inside out. Save the eyes from the strain and fatigue which happens with a lot of time on the internet. These lid wipes are ideal companions for your makeup cleansing routine. 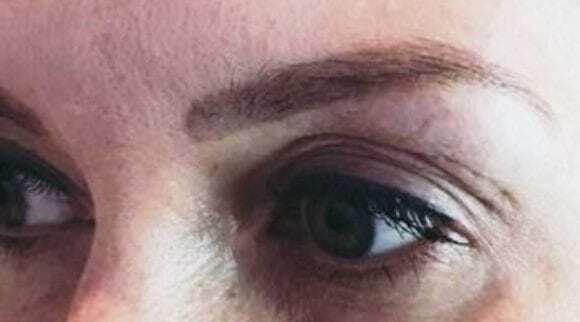 Unlike additional techniques, these will not irritate the eyes or cause any allergy, it’s easily possible to remove make-up without having to shed a tear. Anti-Aging and rejuvenating face cream and moisturizer designed from certified organic and all-natural ingredients that have been medically shown to naturally help in decreasing wrinkles and fine lines while deeply moisturizing the eye, facial, décolleté and neck regions of the skin. The penetrating moisturizer locks in moisture and leaves the skin looking and feeling radiant and youthful. Appropriate as both a daily night and/or day cream. Certified organic and all-natural ingredients handmade in the United States. Organic extra virgin olive oil, purified water, beeswax with pollen and Propolis, essential oils, raw Hawaiian honey with royal jelly, and Vitamin E. Only ingredients which are beneficial to the skin. No fillers, no chemicals, No animal testing, no SLS, no fragrances, no parabens, gluten free, and non-GMO. Nature’s spa and medicine, made to restore and heal the skin to its youthful, supple best. Four creams in one. There isn’t any need to buy different moisturizers/ lotions/ creams. All-In-One neck, eye, décolleté and neck cream. Consumers, both women and men, report that their hands become softer because of rubbing the excess inside their hands, good for behind ears and eyelids. Made with all types of skin in mind: Acne prone skin, combination skin, dry, sensitive, or oily. In time may help with liver spots, crow’s feet, bags, circles, as well as dark spots on mature skin. Healing properties of nature: raw honey is an antibiotic and hydrating for the skin, it’ll stimulate skin cell regeneration and collagen. 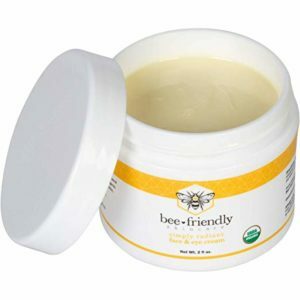 Beeswax improves the suppleness, softness, and elasticity of the skin and won’t clog the pores, as it’s non-comedogenic and is a porous organic substance. Propolis is an anti-bacterial that aids the skin in healing and protects it from more damage. Bee pollen is robust in several nutrients. Organic olive oil contains vitamin A and E, as well as the same fatty acids as the skin. This anti-aging cream restores skin to its youthful glory. This soothing natural and specially blended anti-aging eye and face cream moisturizes and repairs the skin. Your firmer and tighter skin will offer a more youthful look. Delicate enough to utilize on the most sensitive of regions on the face, like the gentle tissue that surrounds the eyes. The skin will be moisturized and completely nourished by this nutrient dense formula. Why is this USDA Certified Organic Moisturizer Better? 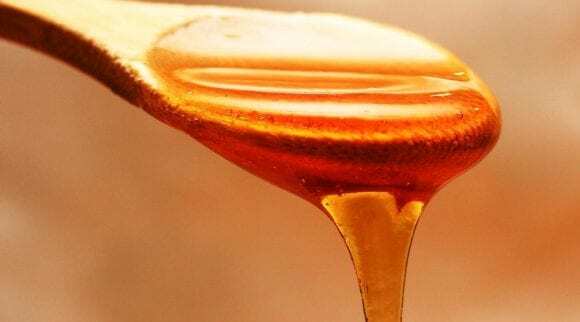 Honey is very hydrating for the skin and an antibiotic. Also, it stimulates collagen, assisting in stimulating regeneration of skin cells. Organic olive oil contains vitamins A and E.
This company is a privately-held, USA-based, Richmond, Texas business. Its focus is development, research, and supply specializing in skin and eye care which began with a goal to address the needs of the those experiencing ocular surface conditions with innovative solutions. OCuSOFT’s dedication to doctors and their patients, since 1986, has been unrivalled. 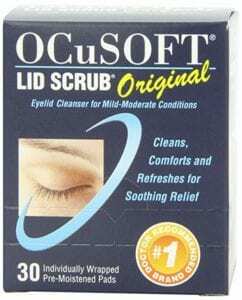 The company today is most known for OCuSOFT Lid Scrub, one of the best physician-recommended brands of lid cleansers. This product is advised by physicians for lid cleansing to remove debris, oil, and desquamated skin that might cause irritation to the eyes. It removes debris and oil related to dry eyes and promotes comfort for contact lens wearers. It also efficiently removes cosmetics and is convenient for travel. Made without dye, fragrance, or alcohol. What does it do? This eye cream for men decreases bags, wrinkles, dark circles, and puffiness around your eyes. Who is it for? Men of all ages with any type of skin who want more energized, brighter eyes. How does it work? This under eye, lightweight cream for men immediately absorbs, and leaves no shine or greasy residue. Powerful hydrators smooth wrinkles away. Caffeine decreases puffiness and dark circles. Main ingredients: Certified organic and natural ingredients, which includes protein peptides, aloe, hyaluronic acid, MSM, green tea, and vitamin C. 70% organic, 97.5% natural. Founded in the year 2014, co-founders Matt Bolduc and Josh Meyer were searching for premium men’s grooming and skincare products yet could not find a brand which met their needs. They desired products which weren’t just the best in the market, but also products that utilized natural ingredients. Also, they were searching for a brand they could relate to as males, a product for the everyday male. After a long time of searching, they made a decision to take matters into their own hands and develop Brickell. What began in Matt’s garage turned into the quickest-expanding men’s grooming and skincare company worldwide, selling in more than twenty countries and gracing the pages of Men’s Journal, GQ, Men’s Health and more. Thousands of males are utilizing their products on a daily basis, why not join in? Do you want to tighten skin and decrease dark circles around your eyes? You have found the ideal men’s eye cream. 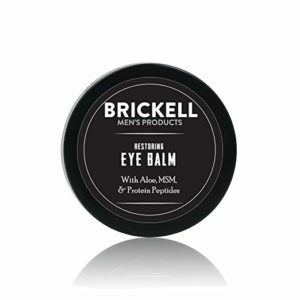 Rejuvenate and brighten dull, tired eyes with this natural, potent men’s under eye cream. It smoothes out wrinkles around your eyes by strengthening your surrounding skin, decreasing dark circles, bags, and puffiness. This lightweight, fast-absorbing men’s under eye cream instantly sinks into your skin, and leaves no shine or greasy residue. Matrixyl 3000: Collagen: it’s the skin’s primary structural protein. As you grow older, you generate less collagen. Matrixyl 3000 is a combination of protein peptides medically proven to increase the production of collagen and decrease wrinkles by 45 percent in 2 months. Methylsulfonylmethane (MSM): A nutrient discovered in several super foods like kale and spinach. Decreases age spots and typical skin pigmentation problems associated with growing older. Hyaluronic Acid: The gel-like molecule retains more than 1,000 times its weight in water, which makes it the perfect skin hydrator. Caffeine: Natural stimulant which decreases dark circles and eye puffiness by boosting blood circulation around your eyes. These – in conjunction with other natural, powerful ingredients – have been clinically formulated to develop the perfect eye cream for men who have wrinkles. This eye cream for men is organic and all-natural. It’s unscented. If used two times per day as directed, it’ll last around 45 days. All their products contain zero parabens, sulfates, phthalates, glycols, silicones, petrochemicals, sulfates, PEG’s, gluten, or synthetic fragrances. Extra Strength leave-on formulation efficiently removes and cleanses contaminants for optimal relief. Perfect for moderate-to-severe lid conditions. 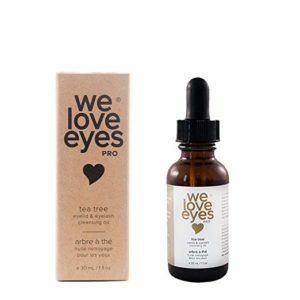 Eye Love believes everyone deserves excellent vision; therefore, for each product sold, the two founders (both optometrists) give a part of the proceeds to someone who needs eye care. 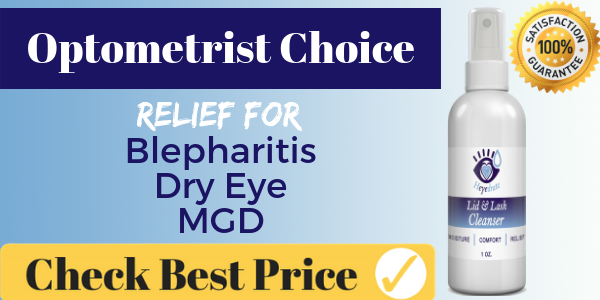 Soothes blepharitis, dry eyes, demodex, as well as inflamed, dry, and itchy skin ailments. Destroys microorganisms with a broad-spectrum microbial impact, prevents biofilm formation and neutralizes inflammation. For usage on any location that you have skin, this all-natural formulation has uses for itchy eyelids, blepharitis, dry skin, dry eyes, rosacea, acne, sun burns, eczema, and all other inflammation. 100 percent vegan, 100 percent organic, 100 percent all-natural support for the skin. Fragrance free, alcohol free, no sulfates, no parabens, as well as preservative free. This Hypochlorous Acid formulation never will irritate your skin. Easy lid application directions and quick action. Just clean the skin of any makeup or debris and spray with this solution. Softly rub in (or merely allow it to dry… there isn’t any need to remove or rinse!) For best results, repeat evening and morning. With each purchase, Eye Love provides a pair of glasses, sunglasses, and an eye examination to someone who neither can afford nor receive quality care for their eyes. Optometrists Jenna and Travis Zigler began Eye Love in May 2015 with their ultimate mission to build permanent clinics in regions without any accessibility to high-quality eye care. As active Great Shape, Inc, members of the iCARE project, they go to Jamaica and other areas each year to provide eye exams and dispense glasses. With the right funding and help, Great Shape Inc. is working to create more permanent medical facilities, and the doctors’ ultimate mission is to have the ability to work in those facilities more often. The innovative spray is ideal for deep cleaning around the eyes, extreme dryness around eyes, and it’s an excellent option for additional skin irritation you have. All-natural, vegan, organic relief. Fragrance free, alcohol free, no sulfates, no parabens, and preservative free. The Hypochlorous Acid formulation will never irritate your sensitive skin. Proprietary, pure HOCl (Hypochlorous Acid). Originally utilized as an antibacterial wound care item and safe for day-to-day use. We hope this roundup of products to help relieve and prevent dryness around the eyes has been helpful. No matter what your situation is or the severity of your dry skin, chances are there’s a product out there that will get your skin back into tip-top shape and help keep it that way. 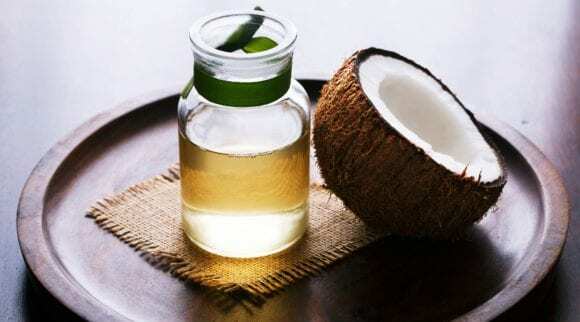 Coconut Oil For Blepharitis? Can It Work For You?